Thank you for your interest to study with us. St. Paul’s University is a Christian ecumenical institution with students and staff from all over the world. Our mission is to raise the standards of education through holistic learning, in a Christian ecumenical atmosphere that gives room for people of all faiths to find a place of study, research, intellectual and spiritual engagement and growth. SPU E-Resources are a gateway to a world of content rich and valuable electronic information resouces. 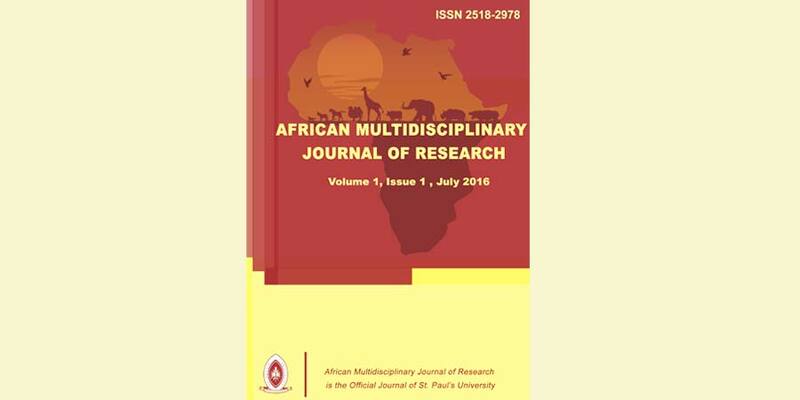 Public Lecture on Scriptural Reasoning and Christian Muslim Relations - Building Pathways to Peace in Times of Trouble"
Volume II of African Multidisciplinary Journal of Research out!